The Golden Owl of Athena is based on Ancient Greece,where the goddess of wisdom (Athena) and her bird of prey (The Owl) were considered considered wise and widely respected. 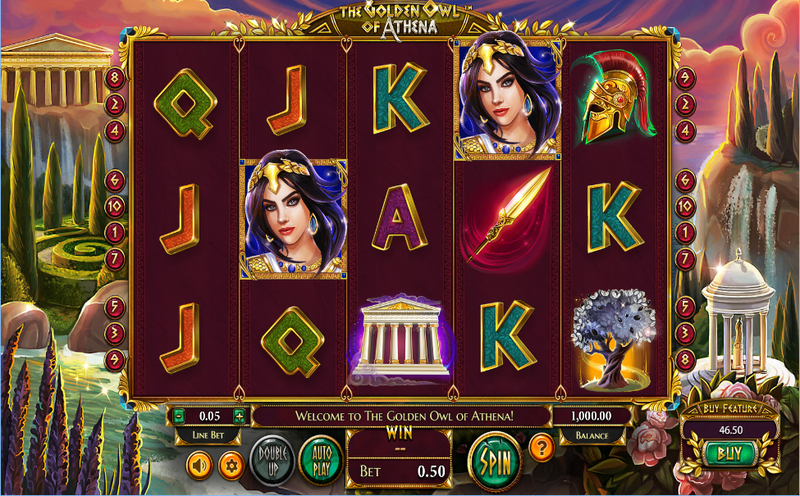 Both characters feature in Betsoft Gaming's mythical online slot, which has a look of WMS slot Zeus about it. 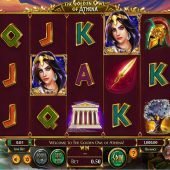 The Owl is both scatter and Wild symbols in the game, offering up to 20 free spins as well pays for 3 or more in view. There are only 10 paylines in this volatile 5 reel slot from Betsoft, which joins other popular titles from their catalogue, including the space-age Event Horizon, the comedic Tipsy Tourist and the gambling-inspired Weekend in Vegas slot.